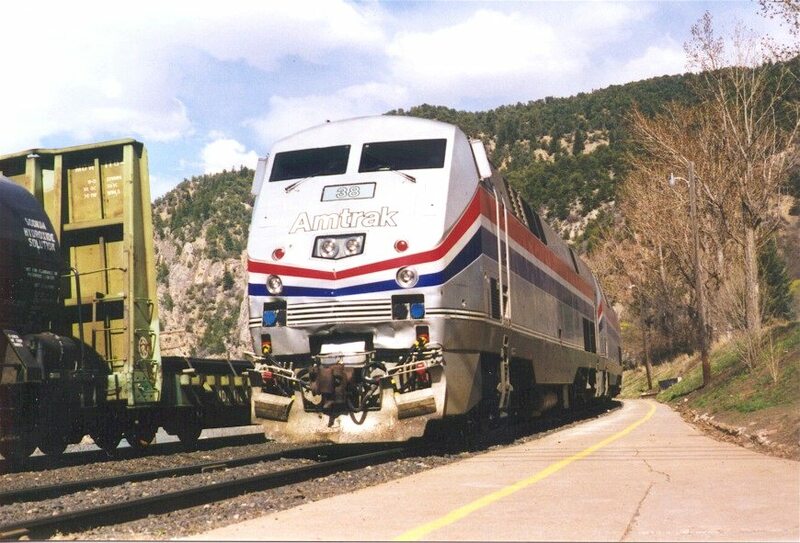 A very popular destination is Glenwood Springs, Colorado. Here the westbound Zephyr arrives to meet a freight train near the Glenwood depot. 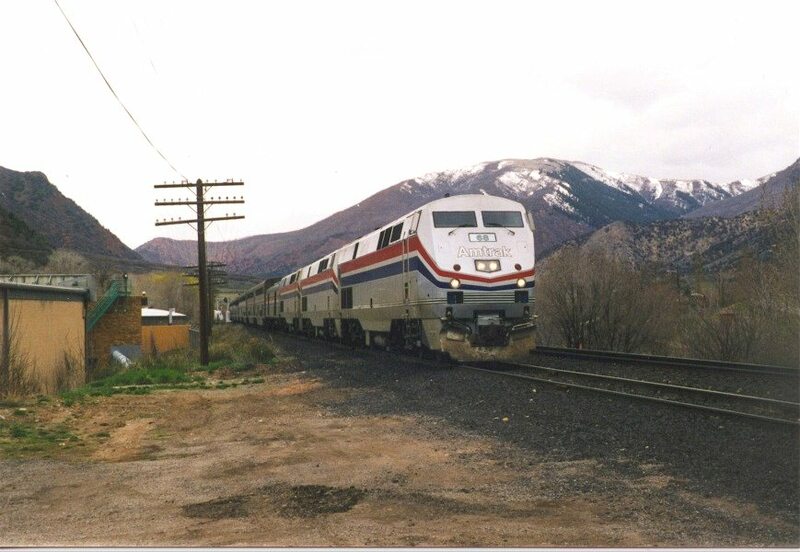 This eastbound Zephyr nears the Glenwood Springs depot.